A double challenge – you have to use the colors and the sketch! I like all these colors, but had never thought to put them together! When I considered the blue and red I came up with these textures and the rest of the card just came together. So cute, Karen. Love the thick stripes and your sentiment!! This is such a fun card. You’ve used a perfect mix of colors and patterns with the sentiment to carry out the western theme. Excellent job, Karen! 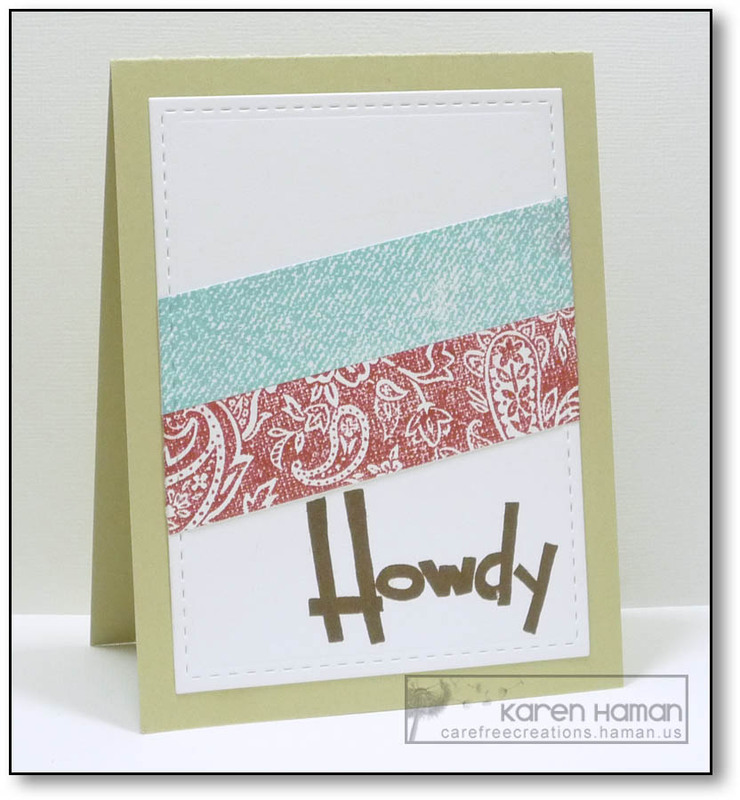 Love the mix of papers and sentiment you have used they really do give the card a western feel/look!